LinkedIn has the largest audience of professionals and college graduates. Keep in touch with your trusted connections while building your professional brand. Studies have shown that 49% of LinkedIn users have a household income over $100K. 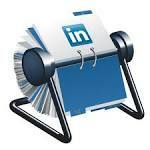 LinkedIn gives you the opportunity to generate quality leads while building brand awareness. You can promote career opportunities to the right people for your brand. With your company page, you can also educate potential customers on your products and services by posting updates and relevant articles. The right combination of posting and listening helps you build relationships with other business professionals while promoting brand loyalty. One way to connect with other business professionals in your industry is to join groups. On LinkedIn, you can’t invite people to connect with you unless you’ve already established some form of connection such as being in the same groups. Along with posting updates on your own profiles, you can also post discussions in groups you’ve joined. This is a great way to develop meaningful engagement and create leads and customers. Endorsements from people you’re connected with show others that your connections appreciate and admire your work. Recommendations are different. They are a personal reference from your connections. Recommendations reflect on both parties’ LinkedIn profiles. We can help you receive endorsements as well as recommendations from your LinkedIn connections.